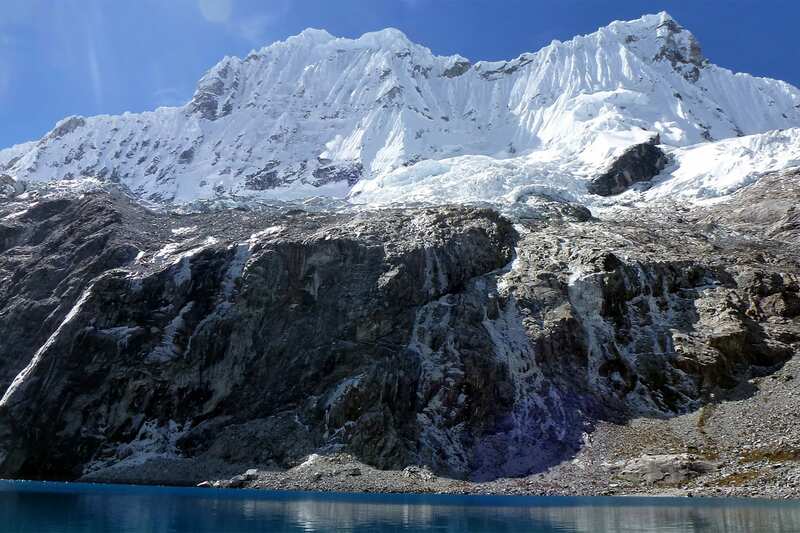 This is the most popular of the one day hikes in Cordillera Blanca mountain range - as well as the most impressive by its scenery. 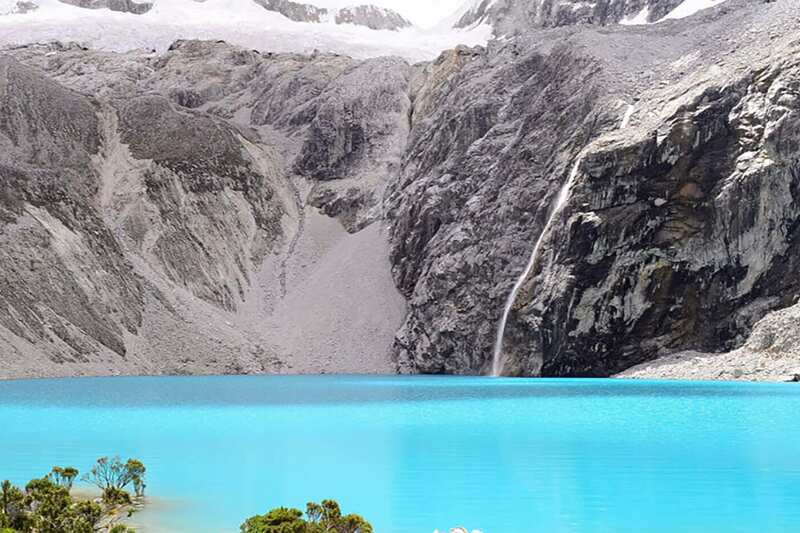 Lake 69 with its waterfall is one of the most beautiful turquoise glacial lakes in the Cordillera Blanca mountain range. 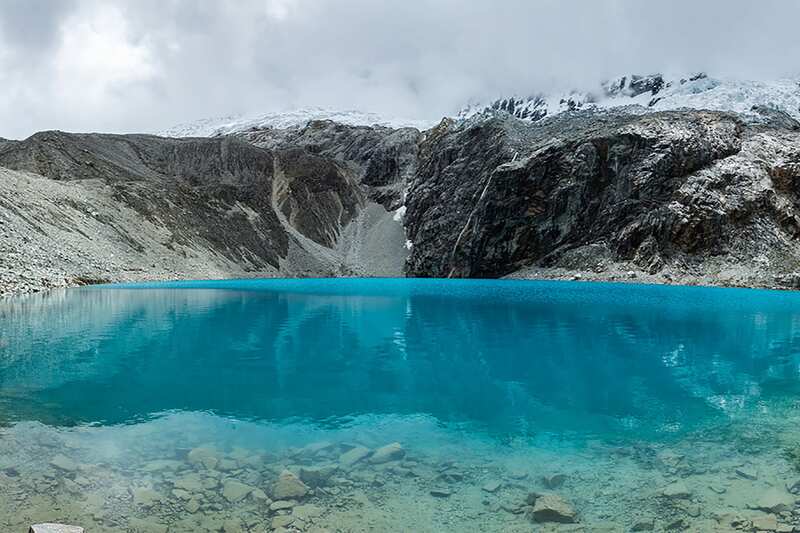 During the tour, you will also see the Llanganuco lakes. After finishing your breakfast we pick you up from your hotel with our private transport and take you down into the Huaylas Valley. In Yungay we turn East towards the mountains and start driving towards the entry of the Huascaran National Park, with Huandoy to the left and Huascaran - the highest mountain in Peru - to the right. After passing the famous Llanganuco Lakes we continue another 20 minutes by car until we reached Cebollapampa. 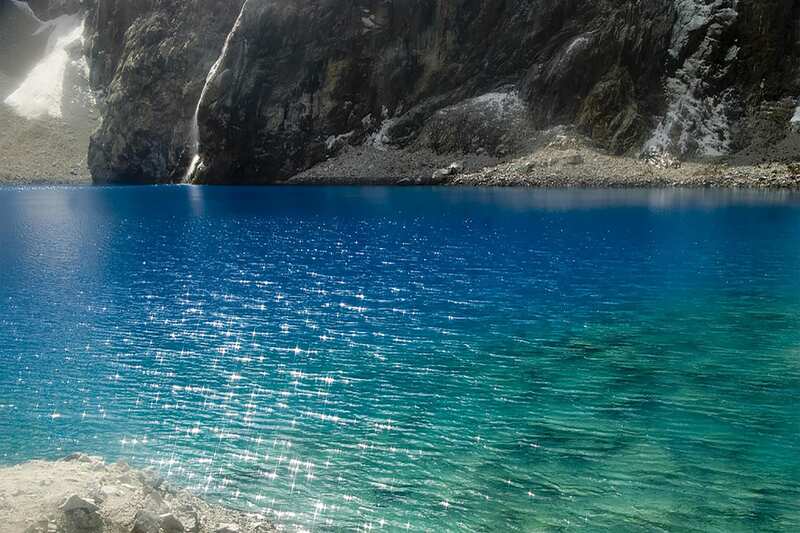 From there we start walking 2,5 - 4 hours to Lake 69 4.600 m (15.092 ft). At the time the lakes were mapped, they were give numbers because their names were not known to the explorers. Afterwards locals were called to name the lakes and has it happened, this lake in particular had not been given a name yet and so it became known as Lake 69. After walking back to the trail start in about 1,5 - 2 hours we make our way back to Huaraz.